Take to the skies for the perfect Hen Party Package! If you are looking to do a completely different and very memorable activity with your fellow hens to celebrate your hen weekend, then our Microlight Flying is the activity for you! Flex-Wing: As the name suggests, this Mircolight has Flexible Wing, which the pilot can control. These tend to have open cockpits suspended under the wings and closely resemble hang gliders in appearance. Fixed-Wing:This type of Microlight looks the same as an aeroplane, so at a glance, it is hard to tell the difference. They have additional controls so are easier to land, especially in crosswinds, as they have a rudder. (You will be using this Microlight for your activity). Powered Parachutes: This type is simply a parachute powered by a motorised buggy. 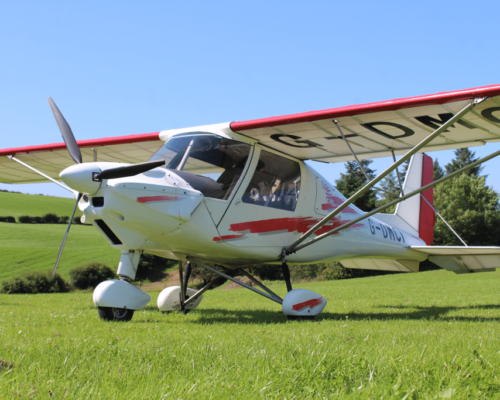 Begin with a briefing with your experienced instructor, who will detail the required safety procedures, before taking you to your Microlight to get ready! Once you are safely strapped in alongside your pilot, you will be guided through a familiarisation of the cockpit controls, so you understand the basics of how the aircraft is flown. Then all that’s left to do, is give your fellow hens a wave as you take to the air! 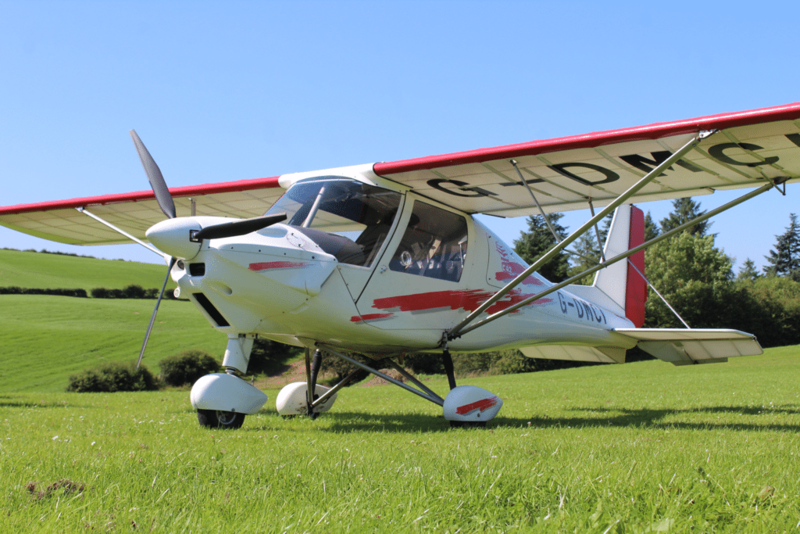 Your 30-minute Microlight Flying experience will take you on a thrilling journey over the most beautiful countryside. You can chat to your pilot throughout through your headset, so they can talk you through the controls and show you a few basic maneuvers. For those hens who are brave enough, you can take over the pilot and have a go at flying the Microlight all on your own! As you glide back to earth, all that remains to do, is snap a few more photos to share with your friends and family! What a great way to spend the afternoon on your hen party package! On the day, we would advise comfortable clothing. You will be in enclosed cockpit so a coat will not be required. Please wear trainers or flat heeled boots. High Heels and Sandals are not permitted. For similar activity Hen Party Air Activities, please click HERE. Or, check out our other Hen Party Ideas! Click to see our LAND or WATER packages.